The Stupid Cancer organization aims to improve the health outcomes of young adults with cancer and to empower and support them. The Stupid Cancer headquarters are located in New York City. The organization operates throughout the United States. Stupid Cancer supports a range of on-the-ground events and online programs. From 2012 until 2016, the Stupid Cancer road trip traveled across the United States every April to raise money for and awareness about young adult cancer. The organization also launched Planet Cancer, a global digital platform aimed at helping young adults with the illness. In 2010, Planet Cancer published a book about cancer and the platform was subsequently purchased by LIVESTRONG in 2013. Between 2008 and 2016, Stupid Cancer held the OMG! Cancer Summit for Young Adults, which became known as the event that defined the young-adult cancer movement and that would serve as the global voice for the community. 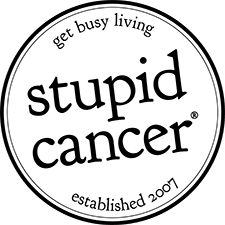 Stupid Cancer funds projects that raise awareness about young adults with cancer and that help establish a supportive community for them and their families. Currently, two on-the-ground events are being run by Stupid Cancer—an annual four-day conference and several local meetups. Cancercon is a conference held in Denver, Colorado every year where young adults with cancer meet and participate in workshops, group discussions, and a range of social activities. Stupid Cancer meetups allow anyone affected by young-adult cancer to meet and interact with peers in the same situation in their local area. Meetups are held at parks, bowling alleys, and other social venues. Online programs include regional support groups, shows, and an informative blog. 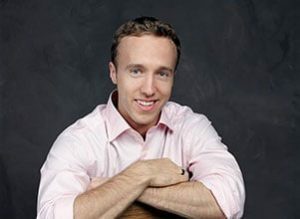 In 1995, a young 21-year-old concert pianist named Matthew Zachary was diagnosed with brain cancer and was told he would not live longer than another six months. Because of a lack of resources about young-adult cancer, Matthew and his family were offered minimal comfort and support. In 2004, nine years after his diagnosis, Matthew founded Steps for Living, which then became the I’m Too Young For This! Cancer Foundation in 2007. In 2012, the foundation became known as Stupid Cancer. Dr. Colin Greer’s professional life began as a professor at CUNY’s Brooklyn College. Dr. Greer directed several published research studies at both CUNY and Columbia University on the topics of U.S. immigration policy and urban schooling policy and history. His expertise on these and other socio-economic policies would later come to the attention of leading politicians. 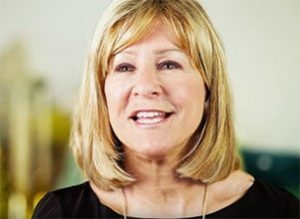 Dr. Greer is a prolific author, with an extensive list of critically-acclaimed books such as The Plain Truth of Things and A Call to Character, co-authored with Herbert Kohl. His two best-known works are The Great School Legend and Choosing Equality: The Case for Democratic Schooling, for which he was awarded the American Library Association’s Eli M. Oboler Intellectual Freedom Award. Dr. Greer was the founding editor of Social Policy Magazine and Change Magazine. For the past 17 years, he has been a regular contributing editor to Parade Magazine. In this capacity, he interviewed Mikhail Gorbachev and Bishop Desmond Tutu, among other world leaders. Dr. Greer also enjoys writing fiction, poetry, and stage scripts. His poetry has been published in Hanging Loose and Transformations. Bombed, a play that Dr. Greer wrote about the bombing of Hiroshima, was staged in New York City in 2015. Two other plays, Spinoza’s Solitude and Imagining Heschel, are part of a collection called Religious Differences Between Artichokes published by Lantern Books. Recently, Dr. Greer has become an active blogger and his articles can be found on his website. Dr. Greer chaired the Funders’ Committee for Civic Participation for a decade. During his tenure from 1992-1994, he chaired the White House Internship Financial Aid Committee. His expertise on the topics of education and philanthropy as well as the government’s role in supporting philanthropies and social justice made Dr. Greer a much sought-after resource for politicians, particularly former First Lady Hillary Clinton. Greer wrote briefing papers on philanthropy and government for Clinton and prepared talking points and position papers on education policy for Senator Paul Wellstone. 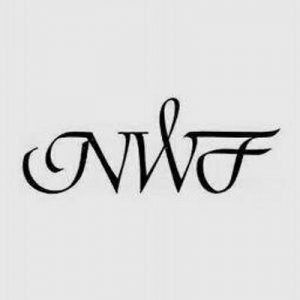 Dr. Greer has been serving as president of the New World Foundation since 1985. The New World Foundation is committed to creating channels for economic equality, democratic participation, educational excellence, equal access to healthcare, and the protection of civil and workers’ rights as well as pursuing peace throughout the world. 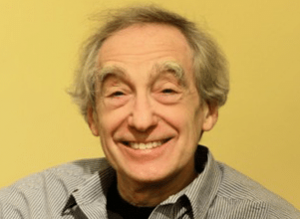 In addition to serving as president of the New World Foundation, Dr. Greer serves as the chairman of the board of directors for the Stella Adler Studio of Acting and the LARK Play Development Center. In addition, he sits on the Boards of Alternet, the New York City Interfaith Center, the Center for Social Inclusion, The Opportunity Agenda, openDemocracy/USA, the American Institute for Mental Imagery, the Teachers and Writers Collaborative, and Tikkun Magazine. The Awesome Foundation operates 89 chapters located in 18 countries around the world. 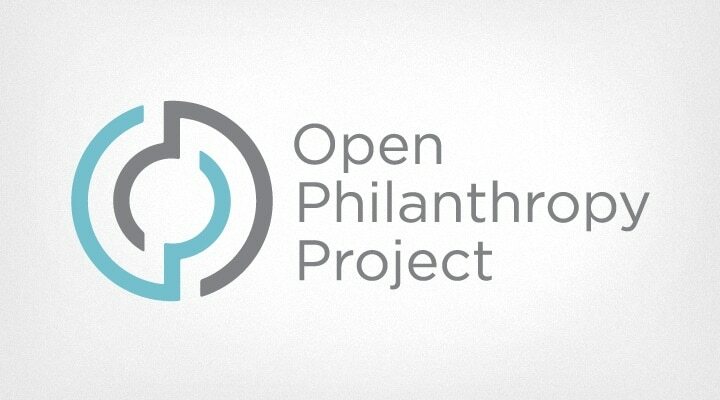 Each chapter acts autonomously, pooling their own money from ten or more micro-trustees. The chapter makes funding decisions independently. The Awesome Foundation chapters decide what causes and projects to support. Interest areas are not bordered but are governed primarily by chapter location and the interests of the chapter members. Awesome Foundation chapters award a $1000 grant every month to support an awesome idea. 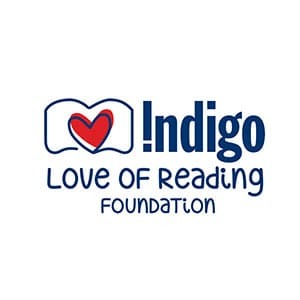 Chapters are a collective of individuals who pool their private monthly donations of $100 to reach the $1000 that is available to fund projects. Chapters are typically formed around shared ideologies, causes, hobbies and other factors that bring people together. Oaktown Ballers, a nonprofit organization based in Oakland, California. Oakland Ballers is devoted to creating opportunities for at-risk boys and girls to become proficient in the sport of baseball. A special effort is made to provide baseball skills training to minority girls, so they can compete in games. A long-term outcome is leadership development and educational achievement. Ciclochard is a unique initiative of a Milan homeless assistance agency. For many years, a group of volunteers has been providing hot meals and drinks to the homeless. However, they learned that what the homeless yearned for was connection. A group of 110 volunteers is working with the homeless to access community-based projects that give them connection, responsibility and a sense of self-worth. The Awesome Foundation was launched by Tim Hwang in 2009 in Boston, Massachusetts. Hwang wanted to create a channel whereby simple, but impactful ideas of individuals could receive a modest amount of funding. He organized a group of 10 friends and launched what would become the Awesome Foundation. The application process was online and very simple. 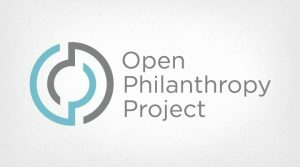 Hwang and his original group of trustees found that $1,000 was small enough to not worry about accountability but large enough to give life to projects and ideas. The projects they funded did not stop once the money ran out. They secured the attention of the public, drawing more support so they could grow and become annual or ongoing projects. Timothy Hwang completed his secondary education in Potomac, Maryland. He received his undergraduate degree from Princeton University’s Woodrow Wilson School. Just prior to graduation in 2013, Hwang and two high-school friends founded FiscalNote. 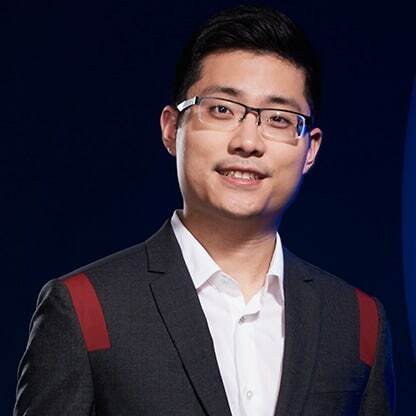 Even though admitted to Harvard Business School, Hwang made the decision to postpone his admission in order to invest full-time attention to his startup. FiscalNote, Hwang’s startup began as a legislative tracking software package for state legislatures. It became a corporation in 2013 and moved to Washington, D.C. where Hwang and his friends were successful in securing multiple rounds of venture capital. In fact, since its founding, FiscalNote has raised more than $230 million in venture capital and acquisition financing from a broad group of funders including Steve Case, Mark Cuban, The Economist, Renren, S&P Global, and Jerry Yang. With strong financial funding and the commitment of its founders, FiscalNote grew to become one of the largest software employers in Washington, D.C. It created such a monumental impact that Muriel Bowser, the Mayor of D.C. initiated a collaboration with the company in 2017. FiscalNote would offer a revolutionary technology for the city’s job training and economic development initiatives. In 2018 FiscalNote acquired CQ Roll Call Group a media and news company previously owned by The Economist Group. This acquisition enabled FiscalNote to advance its goals of becoming a leading source of news, data and analysis for all branches of government. Combining leading-edge technology, FiscalNote offers its consumers access to the best data-driven journalism and news products. Today, FiscalNote has offices in Washington, D.C., India, Seoul, Baton Rouge, New York City and Brussels. It is powering up the offices of nearly 5,000 of the largest and most prominent governments, law firms and legal departments in the world. Timothy Hwang’s philanthropy began early in life. When he was only 14 years of age, he launched his first philanthropic initiative—Operation Fly. Hwang was inspired by what he experienced on several church missions to Guatemala. Hwang’s non-profit ran programs to benefit inner-city youth in some of the country’s poorest cities. While a student at Princeton, Hwang co-founded the National Youth Association, which was a lobby organization that would focus on youth issues at the national level. Hwang is on the Board of Directors of the Community Foundation of the National Capital Region and on the Board of Afterschool Alliance. He is a member of the Economic Club of Washington, D.C., the Young Presidents Organization and is a World Economic Forum Technology Pioneer. From 2009-2010, Hwang served on the Montgomery County Board of Education, an elected position, where he oversaw a massive $2.3 billion operating budget, a $1.2 billion capital improvement plan and an employee base of roughly 22,000 people. During the candidacy of former president Barak Obama, Hwang served as youth regional field organizer, a position he held from 2007-2008. In this capacity, Hwang was responsible for organizing events for high school and college students in the states of Virginia, New Hampshire and Pennsylvania. The David Suzuki Foundation’s mission is to protect the diversity of nature and quality of life. The foundation is guided by the belief that everyone is interconnected and interdependent with nature. The organization believes that thorough evidence-based research and education can succeed in protecting and conserving the environment and will help create a sustainable Canada. 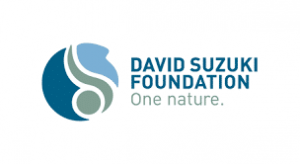 The David Suzuki Foundation headquarters is located in Vancouver, Canada. The foundation operates from its headquarters in Vancouver as well as from offices in Toronto and Montreal. It also has dedicated teams of remote staff and volunteers across Canada. Environmental rights – making a healthy environment a legal right for all Canadians. Climate solutions – accelerating the shift to a low-carbon future. Biodiversity – restoring nature and to continuing to protect it. Trottier Energy Futures Project – The project involves finding opportunities to significantly reduce greenhouse gas emissions through the use of existing technologies. In 2016, a plan to phase out coal-fired power by 2030 was announced after the foundation had been working on resolving the issue for over 10 years. Municipal Natural Assets Initiative – As a founding member of this initiative, The Suzuki Foundation is actively involved with pilot projects across Canada. These projects have begun to demonstrate how floodplains, wetlands, and other natural assets can be more resilient and cost-effective than infrastructure that is conventionally engineered. Methane Pollution Research Project – In collaboration with St. Francis Xavier University, the foundation completed a thorough ground-based measurement of methane emissions in Canada. The research had worrisome results that were submitted to regulatory bodies. 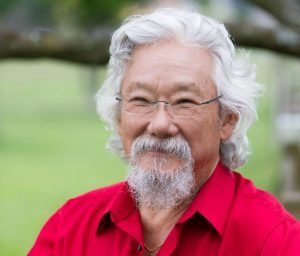 The David Suzuki Foundation supports projects that are geared towards finding sustainable solutions to environmental issues in the following areas: climate, biodiversity, environmental rights, oceans and cities. The foundation regularly collaborates with the government, community organizations, businesses, individuals, and other nonprofit organizations. In 1989 David Suzuki produced a radio series called It’s a Matter of Survival. The series not only won an award, but also warned of impending environmental catastrophe. Thousands of shocked listeners wrote to Suzuki asking how this could be averted and thus a movement was born. 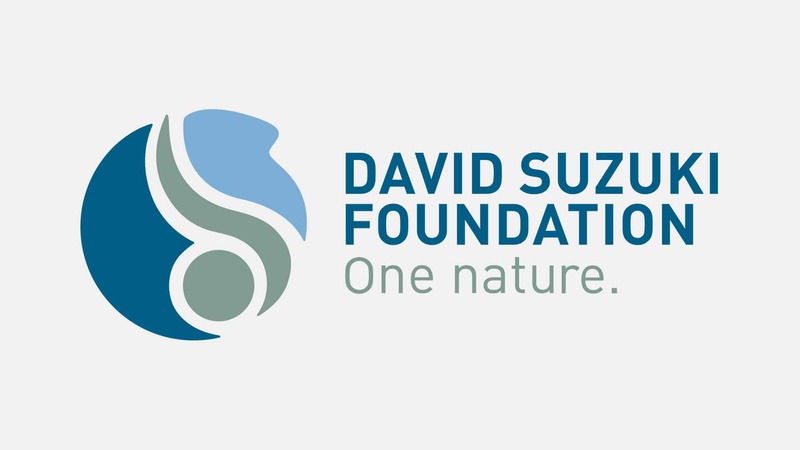 A dozen like-minded people met in November 1989 and in September of the following year, the David Suzuki Foundation was officially launched. The foundation’s first projects focused on the economics of sustainability and on forestry, fishing, species at risk, and pesticides. The foundation soon expanded to include a variety of local projects and worked alongside indigenous communities residing on the west coast of Canada as well as ond international projects aimed at tackling the environmental crisis.